Exponential Entertainment creates compelling consumer engagements that help media companies monetize and promote their existing content in new and unique ways. EE has been working with Comcast to promote the live airing of awards shows such as The Oscars and the Billboard Music Awards. Additionally, EE created games to promote blockbuster films such as Pitch Perfect 3, The Mummy and Despicable Me 3 through Comcast and Cox Communications. The Best of 2018 Arcade – To cap off 2018 Exponential Entertainment teamed up with Cox Communications to deliver an arcade of games featuring the top films of 2018 for their millions of cable television subscribers. 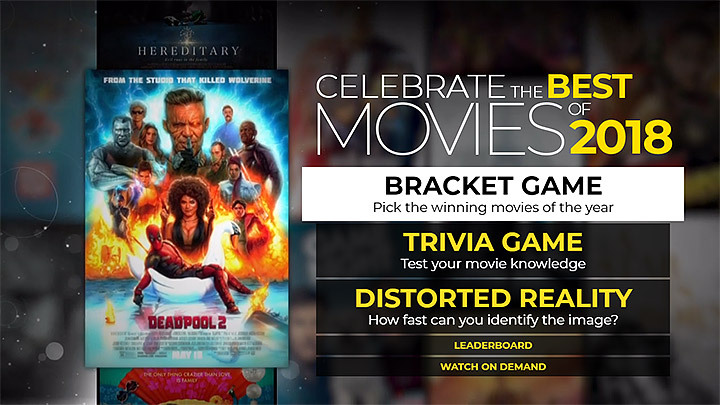 The arcade featured trivia, distorted reality, and a bracket-style game, placing top films head to head letting players cast their vote for the best film of 2018. Pitch Perfect 3 Game Arcade – EE created a “Bella Boot Camp Challenge” for Universal’s final installment in the successful Pitch Perfect franchise. Users raced to complete the music notes and join the Bellas! In addition to being promoted by Comcast and Cox prior to theatrical release, the games will live on as bonus content to be enjoyed when viewers buy digital versions of the films. 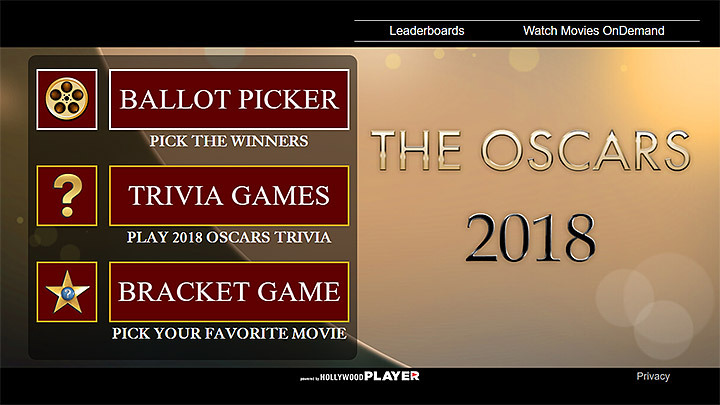 Oscars 2018 Game Arcade – EE teamed up with Comcast to develop HollywoodPlayer game suites to reach millions of Comcast subscribers directly on their set-top boxes. 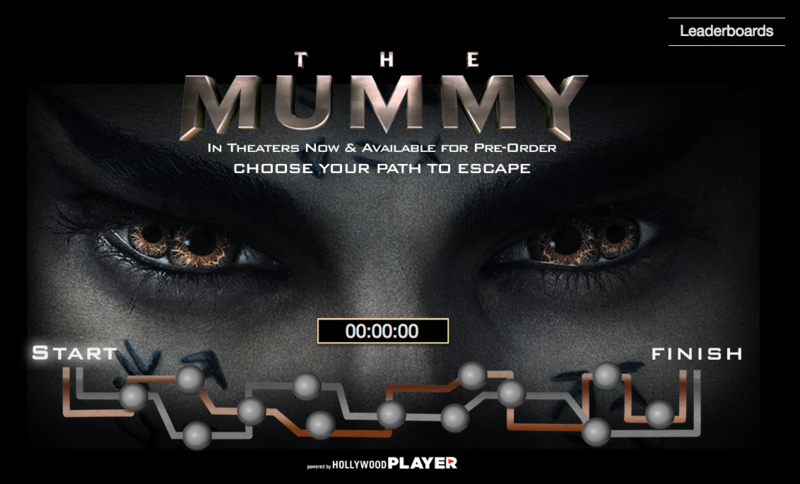 The Mummy 2017 – EE created an immersive “Escape The Mummy” path style game for Universal’s 2017 reboot of the Mummy. Games were promoted by Comcast and Cox in their On-Demand sections and Channel Guides. The program drove hundreds of millions of impressions and significant engagement with the film property resulting in incredible value for the film studio. 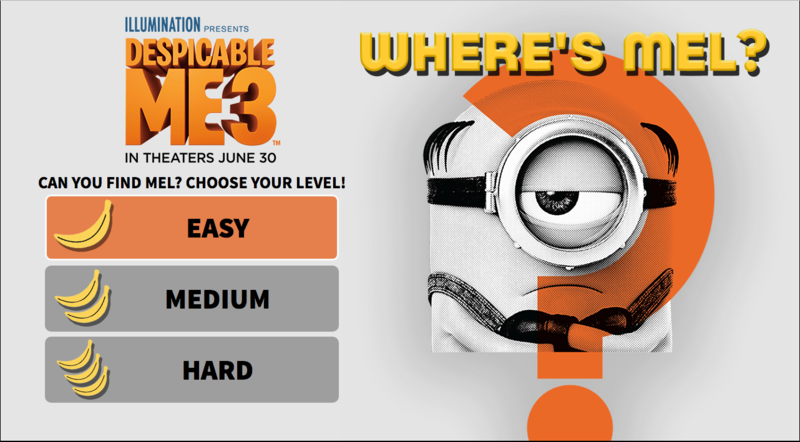 Despicable Me 3 – EE worked with Illumination Entertainment and Universal Studios to create games for animated summer hit Despicable Me 3. This arcade was developed for the web as well as Comcast and Cox set-top-boxes. The unique game design allowed the studios a way to introduce Mel the newest character to the franchise and let the audience interact to earn exclusive clips and trailers from the film. Simpsons Store Comic Reader app. Now Simpsons fans can read digital versions of the comics they love! Download the new Simpsons Store Here!